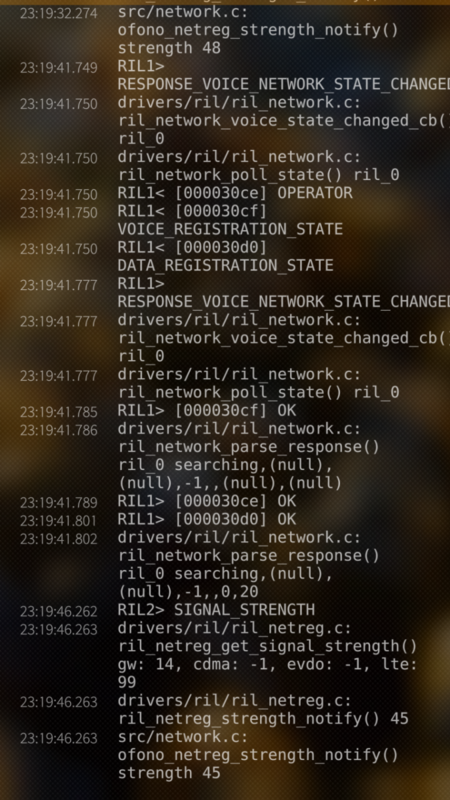 Telephony troubleshooting tool for Sailfish OS. Allows to manipulate log verbosity at runtime, capture and pack the log into a tarball. The tarball can be sent to an ofono specialist for analysis. It can also solve certain connectivity problems (such as disabled mobile data switch). If such a problem is detected, the appropriate menu item shows up in the pulley menu. 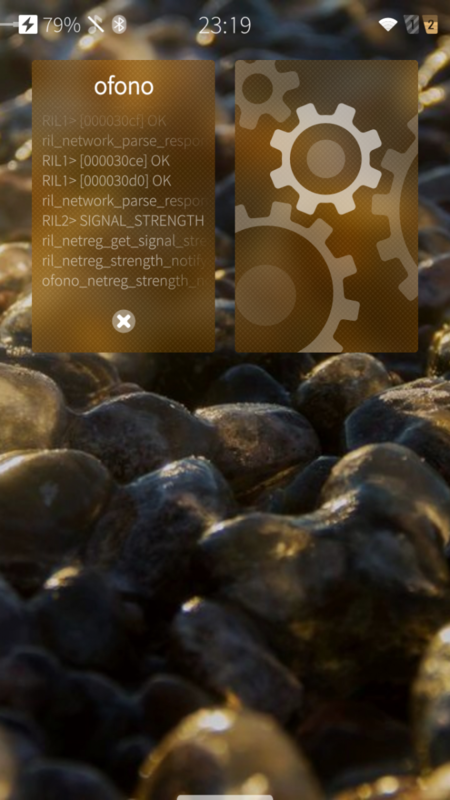 Requires Sailfish OS 2.0.4 or newer (or ofono version 1.17+git27 or later). Hello everybody, I am new here..... Do we have some documentation shared about this tool? I would like to know about commands and other stuffs related to it. The best documentation is the source code! There is a link to it in the description. with latest SFOS v. 2.1.1.x I am experiencing spontaneous device reboots/shutdowns at specific locations and I want to log the ofono output. But I am unable to save the log if the device shuts down spontaneously. Is there a way to redirect the ofono output to a file via terminal or any other way to save the output? Or do I need to use dbuslog-tools for that purpose? Keep in mind that dbuslog-client won't automatically reset logging options back to default when you terminate it (unlike the UI app). 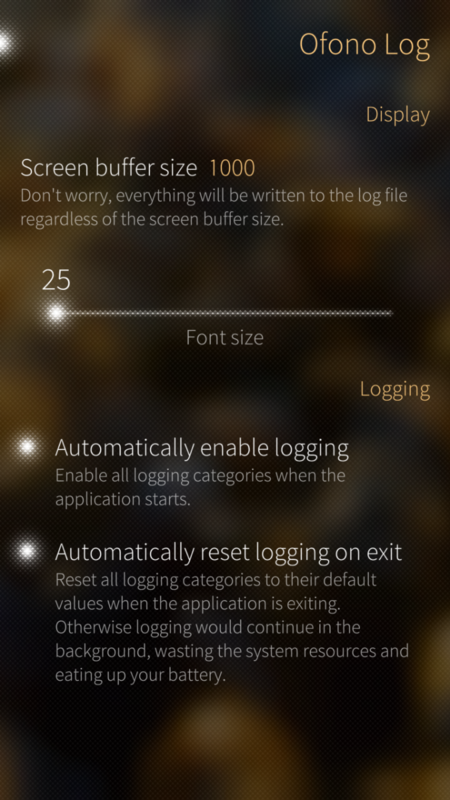 Leaving full logging on will unnecessarily load the system and reduce the battery life. any abnormal found in log?
. 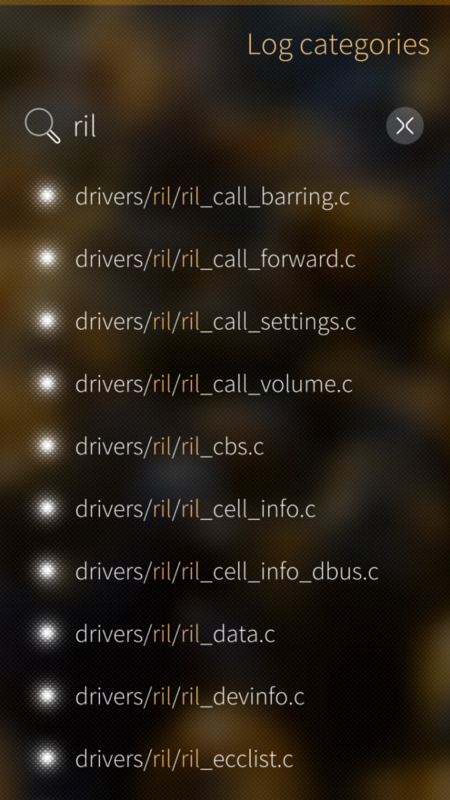 The bug is sometimes cant be dial or receive call, so which option I need enable mostly in the apps? Got the log and email sent! And I have received it. Good. Hope you can found the fault. It just happened again after reboot, afterwards few call, it happen again, but I havent run ofono log this time.. Probably not. I am not sure that it makes sense, not to mention that it would mean more or less a complete redesign. Such a daemon already exists - it's called systemd-journald. You can use ofono logger app to configure logging categories, then exit the app and the logs will continue to be collected by journald. Most likely, you would have to tweak /etc/systemd/journald.conf to configure journald to not drop the messages. The default setup is quite conservative, to save the space. lists the ofono log categories and their current state. There are also options to enable/disable individual log categories or all of them and to pipe the log to the standard output. So the command line/demonized solution already sort of exists, the purpose of this app was to make collecting logs easy for a casual user.